Imagine that you are one of the people that love the new unique wonderful fragrance that you have just bought from a company recommended by a friend. You managed to use that fragrance at a special occasion and got raving compliments which made you feel like you are on top of the world. Your life is looking good and you walking confidently. Great and fantastic! Now at this point, you will probably want to try to avoid the situation and will want no contact with that company in case they ask again. Not productive for them and you may no longer buy that lovely unique fragrance any more, which made you feel really nice and intense inside. You want to purchase another one, particularly when the fragrance is almost gone, but feel uncomfortable going back since it has been a while when that person asked for a testimonial. What a tragedy! From a psychological point of view, the above fictional scenario is not far from the truth. Many people do often feel this way. Would it be great if you know that claiming for compensation with 101% Compensation in the UK will not put you in the awkward situation of being asked for a testimonial? We do welcome testimonials; feedback, recommendations and thank you letters, but there are no obligations to do so. Do send your views if you feel like it and really want to shout out our praises. After all, we are humans working at 101% Compensation and appreciate kind words. It may seem like we are contradicting our statement on No Testimonials, but the focus is on the lack of asking for one that matters to us. Being that little more thoughtful is how we have become the best compensation company. 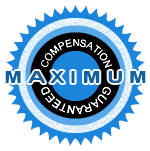 You will get the maximum 100% compensation in UK and more with NO DEDUCTIONS from your compensation amount. And if you feel it is worth shouting about in a testimonial then you do not need our permission, you go ahead and do it! With a dedicated testimonial page in the process, you may be helping in accrediting our service in the UK to benefit others. Already, as more and more people are finding out about the new phenomenon of NO DEDUCTIONS and comparing to others who have had monies deducted, our details are being recommended. What you are not going to find on this website are completely made up testimonials with marketing keywords. You know that there are many websites that have testimonials which sounds as though they were paid to write them. Can you trust the websites that contain such phoney declarations? Well, it does sound like trouble to us. Should you choose to send your testimonial, it will maintain relevance and may possibly be linked throughout the site for any claimants to read about another user’s experience to support their decision in claiming compensation. We will ask for permission to use any comments as according to the Committee of Advertising Practice. We will keep records of the signed and dated proof to substantiate our testimonials. The keyword 'Compensation Claims' is highly desirable in the claim industry and we give more to those reaching out to us. As a default search engine, we are up there with the rest to provide 100 percent compensation and more to Microsoft users.